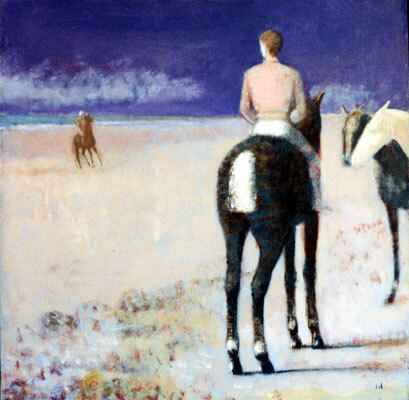 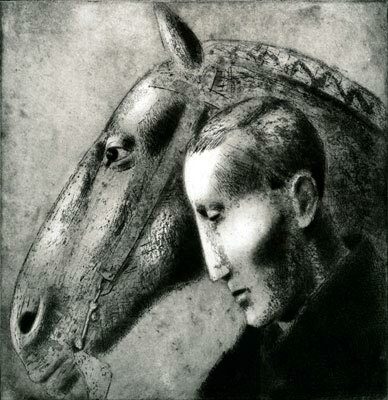 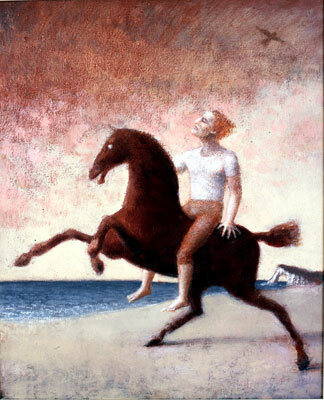 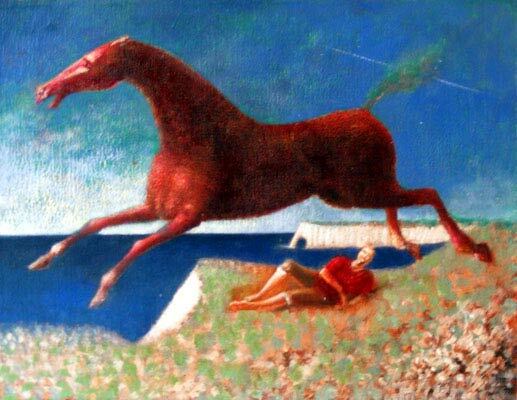 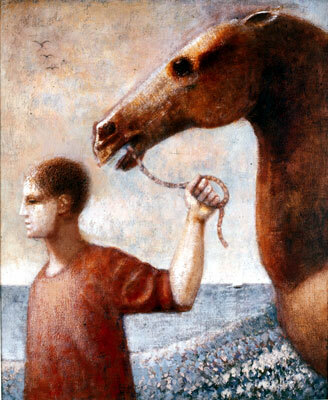 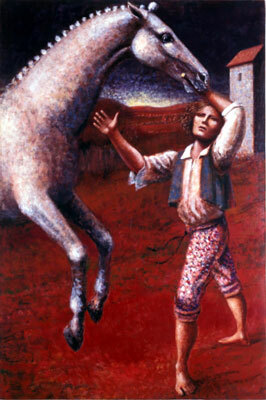 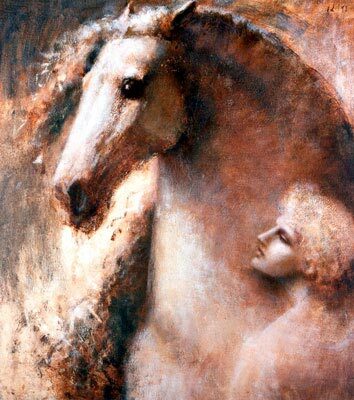 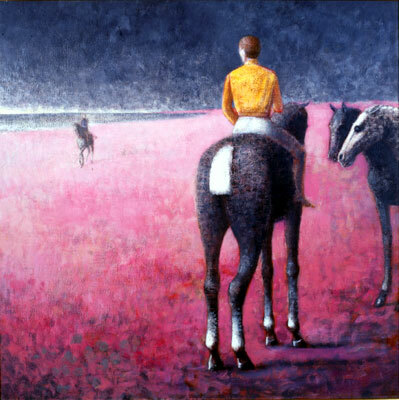 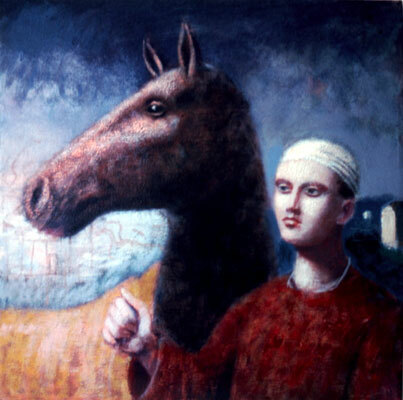 This gallery consists of Horse and Groom images, which were created between 1984 and 1996. 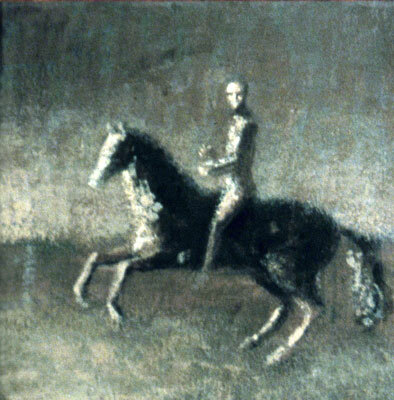 This was a subject beloved by Ian and emerges from his earliest known drawing and thereafter resonates throughout his entire body of work. 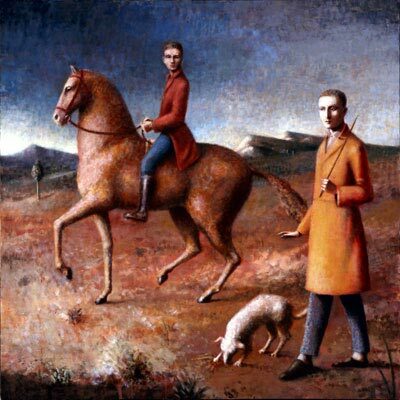 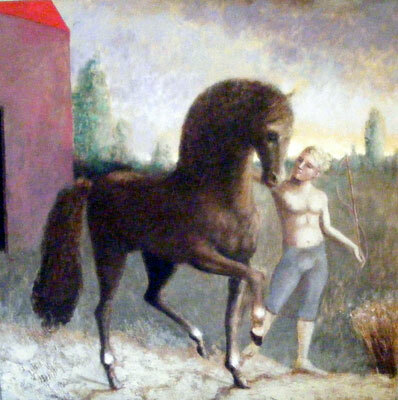 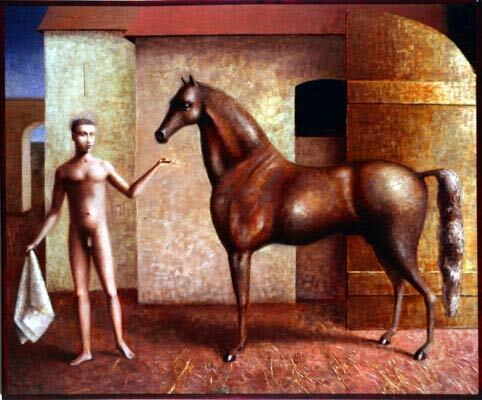 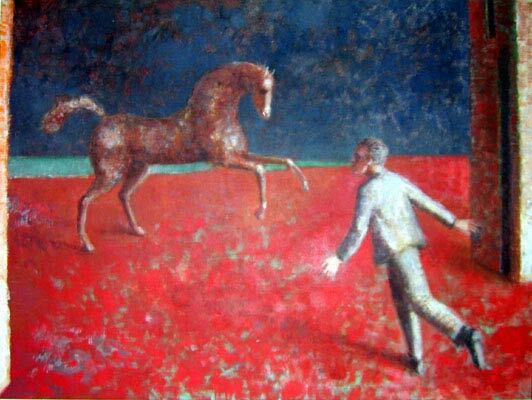 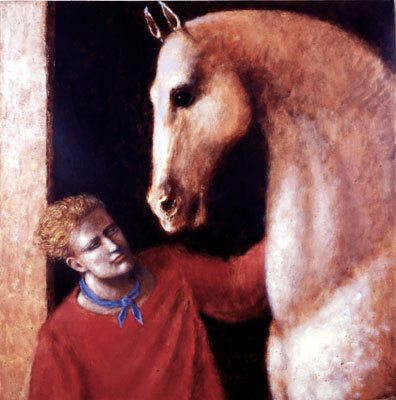 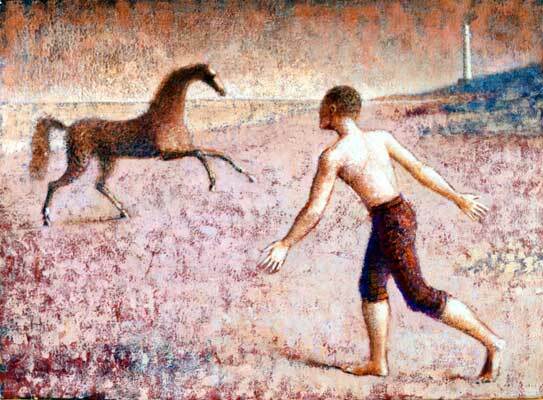 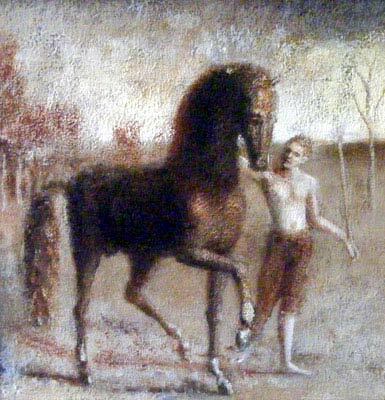 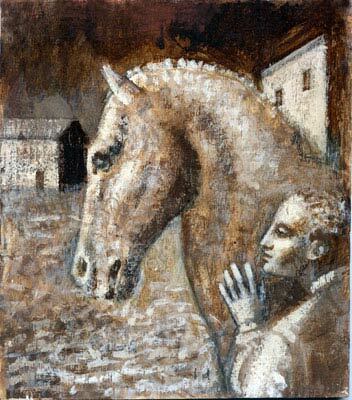 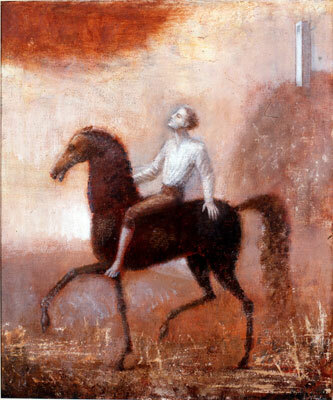 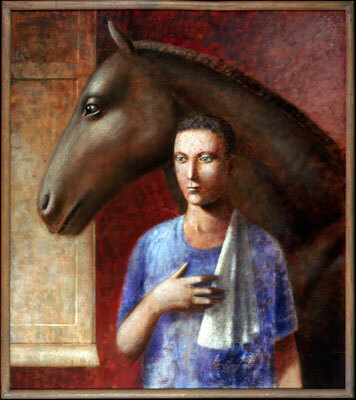 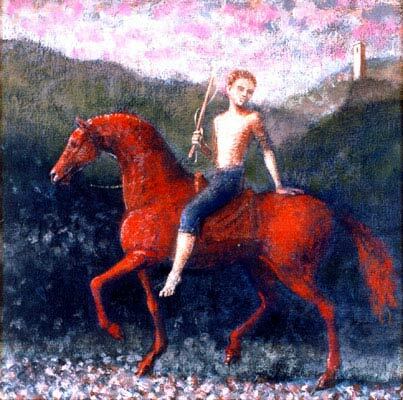 Of particular note is the painting from 1987 entitled "Horseman with Guide" which many consider as Ian's finest painting from his entire body of work. 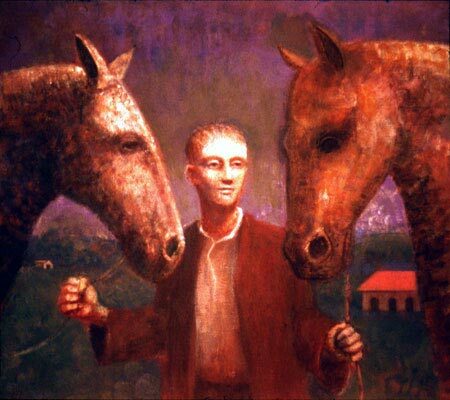 There are numerous outstanding images in this group including Youth with Horse, Horse and Groom and Visionary Horse and Groom, to name only a few.